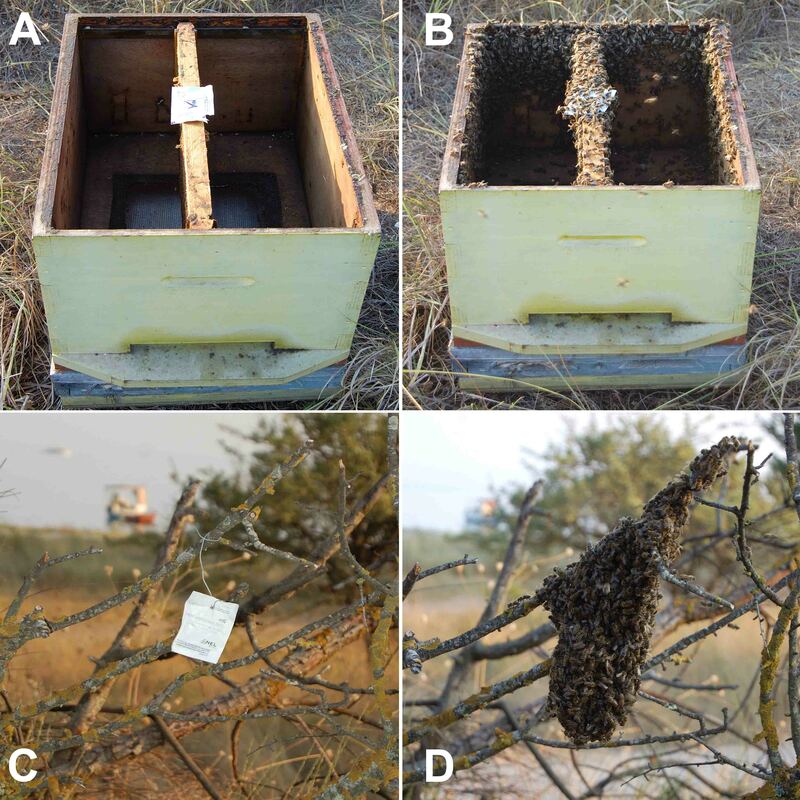 Vita’s Honeybee Swarm Attractant Wipe helps to attract passing swarms, and to lure swarms temporarily hanging in trees and other awkward places into a skep or box containing the swarm attractant. 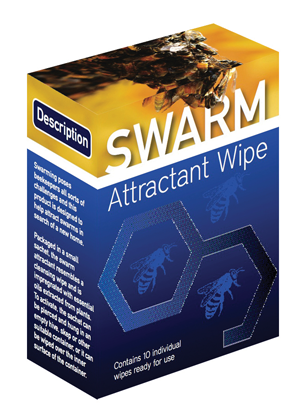 It will even reduce the risks of swarms leaving the apiary if a bait hive contains the attractant. It comes in a small sachet and resembles a cleansing wipe. It is impregnated with essential oils extracted from plants. Rigorous university research has shown that the lure attracts 60-90% of swarms — read about the research here and learn about the different ways to use the lure to attract primary swarms (headed by old queen) and secondary swarms (headed by one or more virgin queens). The Vita swarm lure in a brood box and on a branch.